Beautiful ranch home with 3 bedrooms, 2 full baths and an open living room, kitchen and dining area on the first floor. Full, walk-out basement with its own heat and thermostat doubles the square footage to over 3,000 sq ft with 2 more bedrooms, NEW full bath, laundry hook-up (either in basement or on the first floor), a great unfinished rec room and more. 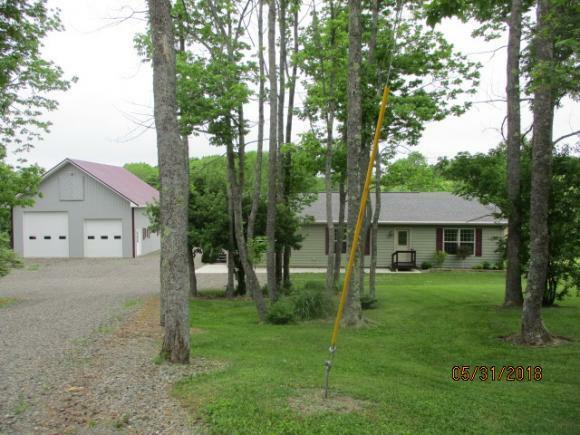 Property also features a 32' x 32' pole barn garage with an air compressor and lift included with an acceptable offer. Home has been painted and ready for a new family to enjoy the peaceful country life. Seller offers buyer home warranty. Virgil Elementary School Elementary School / Public 6 1.6 mi. Cortland Junior Senior High School High School / Public 5 4 mi. Franklyn S Barry School * Elementary School / Public 3 3.96 mi. Victory Christian Academy * Elementary School, Middle School, High School / Private N/A 3.7 mi. Walker Christian School * Elementary School, Middle School, High School / Private N/A 1.64 mi. Cortland Junior High School * Middle School / Public N/A 4 mi. 2553 Holler Road, Cortland, NY 13045 is a 5 bedroom, 3 bath single family home was sold for $190,000.